Kira: HELLO, NEBULON! is the first book in the GALAXY ZACK series. 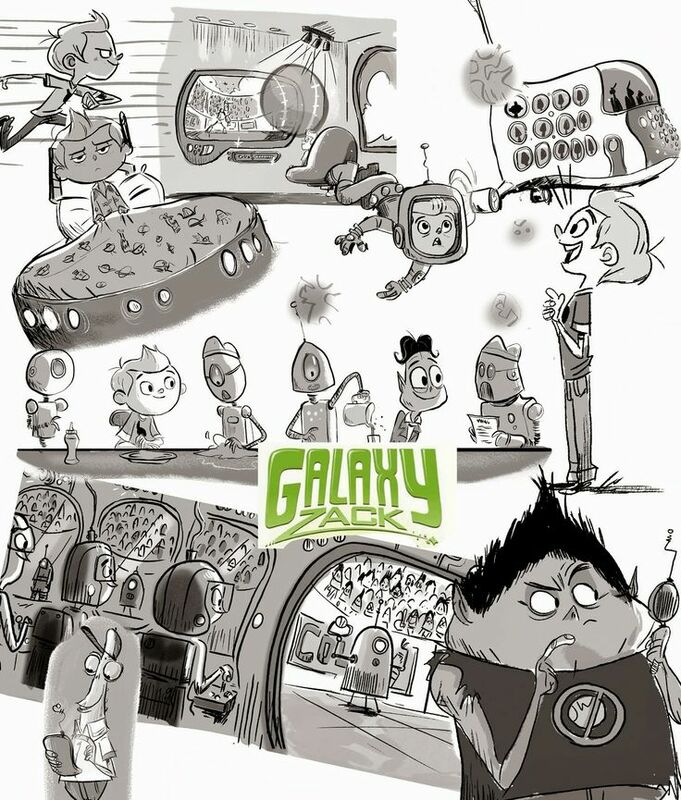 GALAXY ZACK is about a eight year old boy named Zack who explores space. Zack used to live on Earth, and in this book, he moves to the planet Nebulon. Mike: How does Zack feel about moving? Kira: He felt really sad because he missed his friend, Bert, and his dog. He was worried about school. He was also worried that the pizza would have bugs on it. Mike: Did this remind you of a movie you saw recently? Kira: Yes! 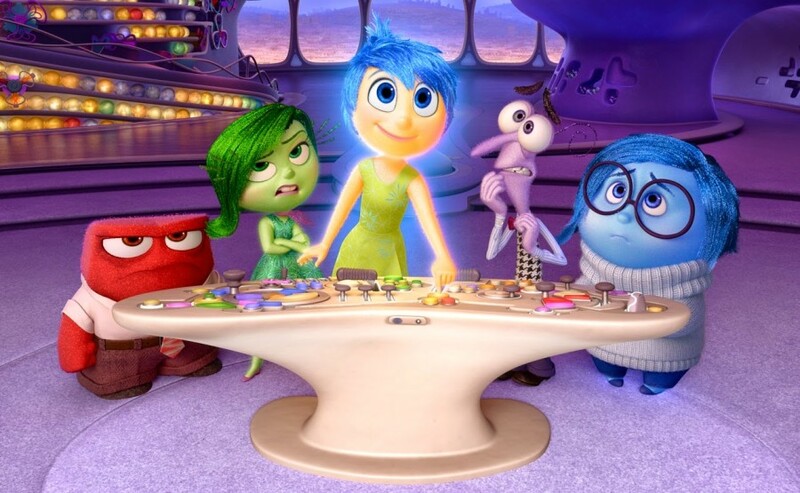 INSIDE OUT! Riley was scared about moving too. San Francisco had weird pizza too! Mike: How did Zack get over his fears? Kira: He made a friend named Drake who told Zack all about Nebulon. They had the same favorite class (planetology) and ate star pizza. Zack's house had a real cool computer named Ira that Zack liked too. And Drake said "Yippee Wah-Wah!" when he was excited, which was funny. Mike: Was Zack able to show Drake Earth things he liked? Kira: Yes! He shared candy bars from Earth. And his dog. Zack was very happy when his dog came to Nebulon at the end of the book. Mike: Did you enjoy the book? Kira: Yes. Zack got to learn all about a new planet. This book was funny, silly, and a little crazy. It was a very nice book. Other people can learn that moving doesn't have to be scary. Mike: Did you like the illustrations? Kira: Yes! Some of them looked funny and some looked really crazy! Mike: Would you read other books from this series? Kira: Yes. I liked this book, and I think I would like to read other books in this series. Mike: Out of 5, what would you give this book? Kira: 5 out of 5 stars! Mike: Kira asked if she can have special "boxes" where she can add extra thoughts she had and call them "Text to self." Two reviews in, and she's already got a list of demands. She definitely knows what it takes to be a writer. A big ego!! Text to self: My mom and dad reminded me that we moved to our house when I was one year old. Text to self: I am eight years old just like Zack. Mike: From the adult's perspective. Zack's universe is a lot of fun, and I liked the characters. I also liked Zack's family, especially his twin sisters who kept finishing each other's sentences. They gave the book a real unique voice. I am a sucker for character's who talk in unusual patterns. I complain a lot that in too many books (both kids and adult books) all the characters sound the same, but Ray O' Ryan did a great job with that. This chapter book had some tricky words, especially the made up ones like Nebulites or hyperphone, but Kira had no real trouble reading them. This book was a quick read for her. It was 115 pages, but pretty much all the pages had huge illustrations on them. GALAXY ZACK definitely seems like a book that would motivate children to read, something I have always found a little difficult for Kira. She was very excited to go to Barnes and Nobles and pick out another GALAXY ZACK book.